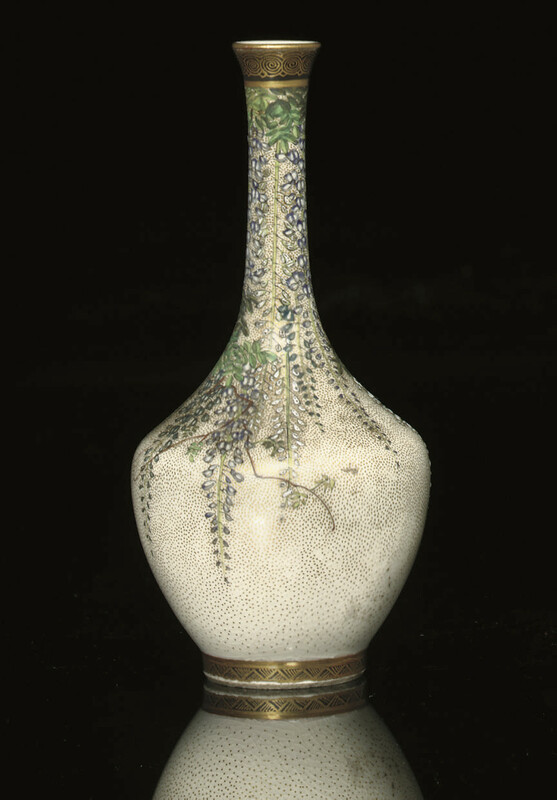 decorated in black, white, blue and shades of green enamel and gilt, with branches of flowering wisteria, beneath a band of scrolls, the original label 'Kinkozan' is stuck to the base over the signature, the kanji for 'zan' is visible -- 4 5/8in. (11.7cm.) high.